Our tulips, daffodils, irises, and so many spring flowers have sprouted, too. Though the early bloomers have already withered and died. i can’t wait to see the tulips! 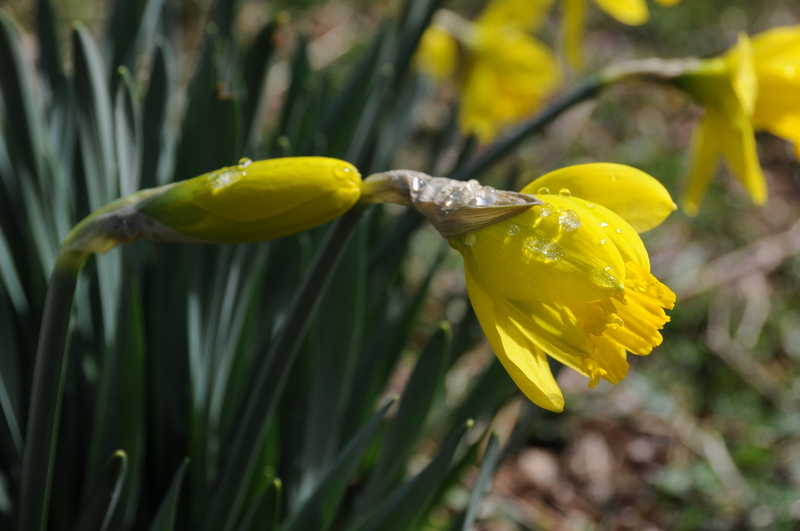 I have to confess–this photo is of last year’s daffodils, ’cause my current crop is only inches high and just developing buds. It has been a long, icy winter and any excuse to bring out the bright promise of spring is used!! 😉 Happy Spring!